HIGH POINT, North Carolina – Sleep accessory specialist Protect-A-Bed (PAB) will move into a new 5,000 square foot showroom in the International Home Furnishings Center (IHFC) here in time for opening of the Fall 2017 edition of the High Point Market. It will be located in space M633. The market opens for its normal five-day run on October 14. Grow the Retail Basket: A walk-through of the six core strengths Protect-A-Bed provides to support and enhance retailer performance. 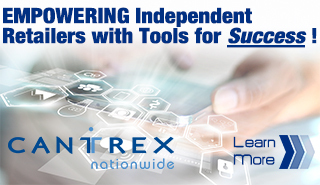 These strengths include marketing, product, display, training, service, and trust. Integrated displays: Multiple in-store displays will allow retailers to preview the look and feel of displays for their sales floors. The newest addition, the pillow stack, is designed to drive excitement on the sales floor, while increases sales through special pricing. Quarterly promotions: New this year and believed to be unique in the industry, PAB’s quarterly promotions help retailers drive traffic, energise their sales staff, and increase sales. They are supported by a complete marketing tool kit including social media posts, advertising, in-store signage, and spiffs. REM-Fit brand store: Designed to grow incremental sales by putting a complete bed-in-a-box program in the hands of bedding retailers, this concept is designed to deliver increased traffic and sales while helping traditional brick-and-mortar retailers take sales back from online brands. Sleep Tailor: Utilising biometric models, this interactive pillow diagnostic device is designed to help consumers find their ideal pillow. Completely interactive, it combines choice selections with image and measurement data to narrow down pillow choices and engage both customers and sales staff. This program is expected to be made available to Canadian retailers next year. 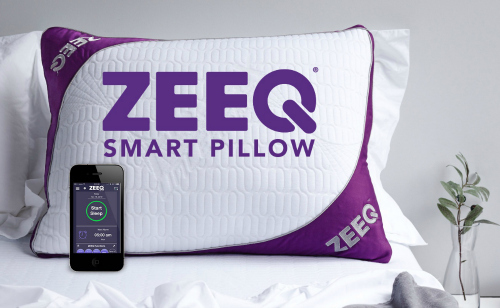 ZEEQ Smart Pillow: Now available, the display will feature its latest updates including an integration that allows ZEEQ to communicate with other smart devices, as well as a new wholesale and MAP pricing. This pillow will be sold in Canada by Best Buy this fall. “We are truly evolving as a company and digging-in at High Point is a way for us to anchor ourselves in the heart of the furniture industry as we continue to grow,” PAB chief executive officer James Bell added. The showroom will also feature meeting areas and a lounge as well as multiple displays and demonstrations of the latest product and programs from both Protect-A-Bed and REM-Fit.